IklanLah! Malaysia - Rumah Kediaman - Only RM72k to own a new property!! 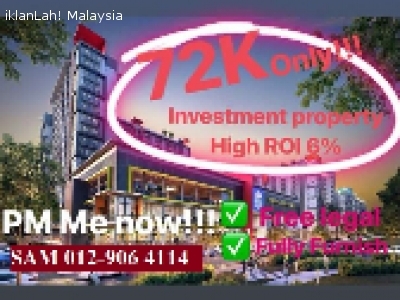 Only RM72k to own a new property!! Only RM72k to own a new property @ KAMPAR, Perak. 2 large universities are next door! Hospital, 2 universities, 5 star equipment! - Monthly installment below Rm400!!! ?